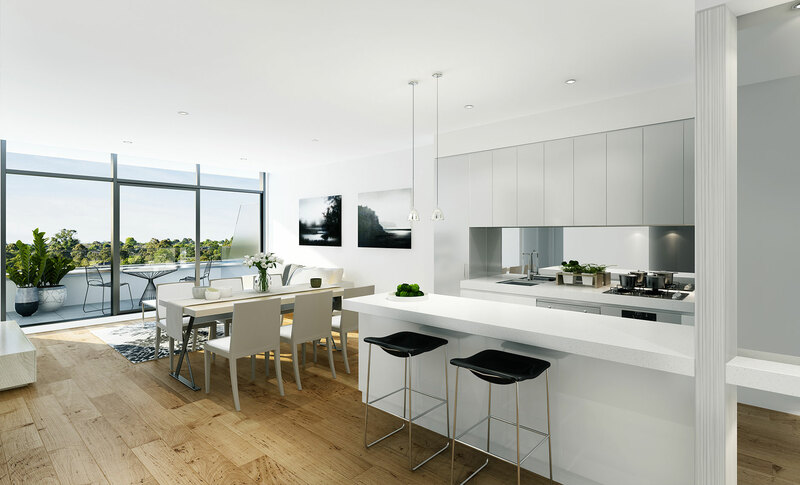 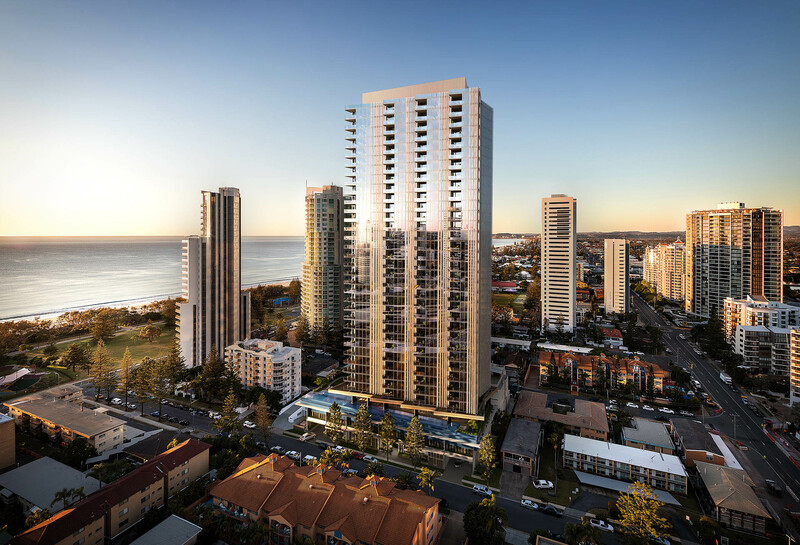 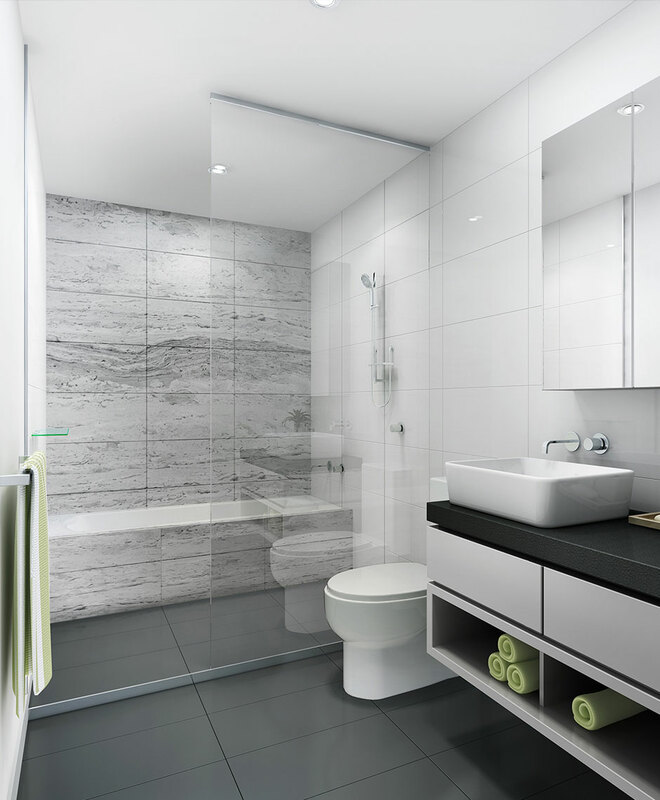 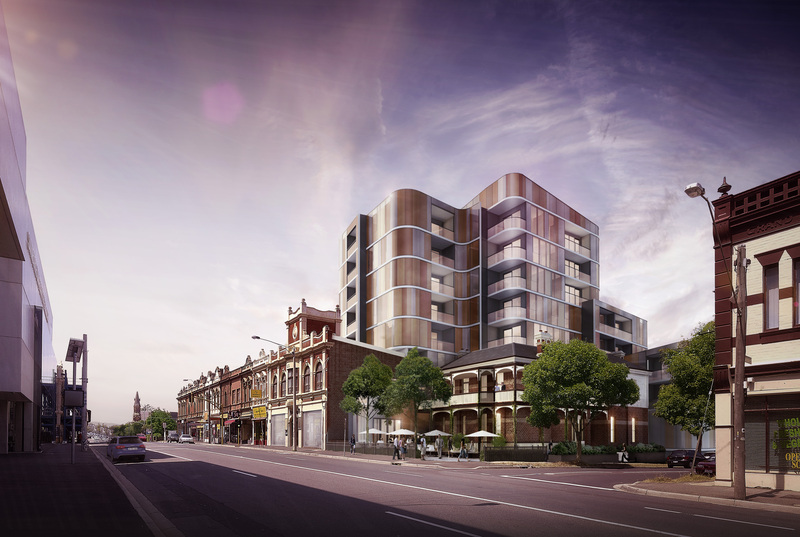 380 Degrees is a landmark new development in the Melbourne suburb of Brighton. 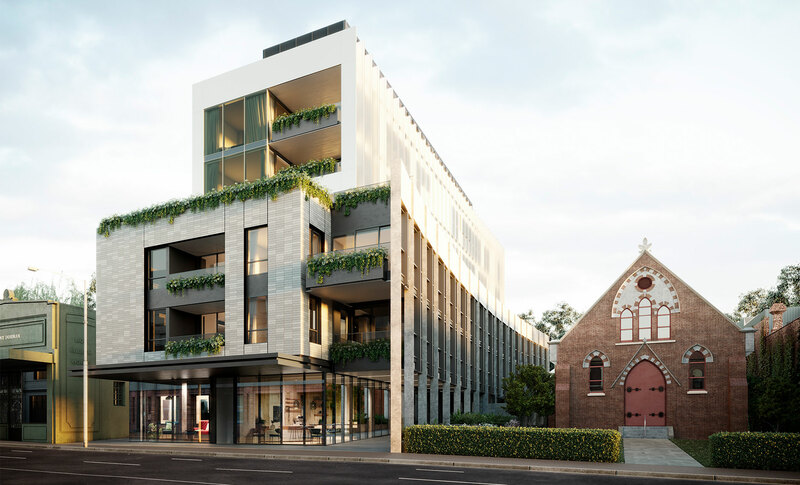 The realisation of an emerging trend for mixed use development in the local high street the building successfully marries a ground floor full line supermarket with ninety five upper level residential apartments. 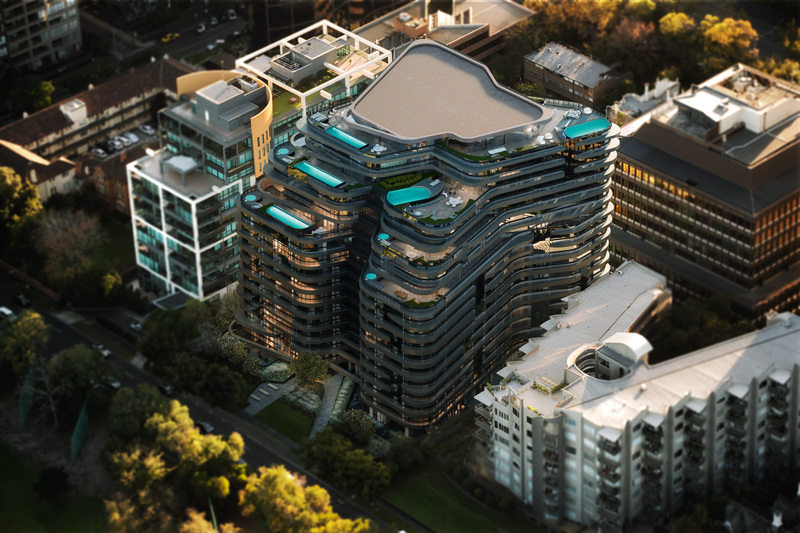 The building programme is clearly expressed in the architectural language. 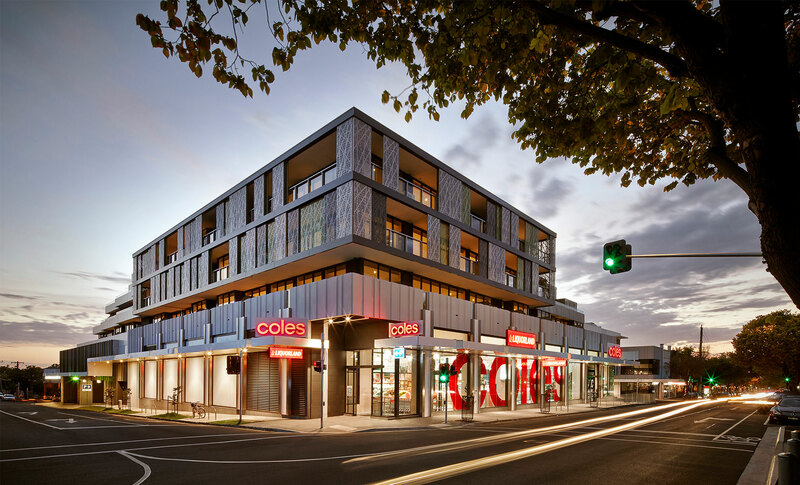 At the street level the retail use is clearly described by a larger scale, robust architecture which has been articulated to reflect the scale of the existing retail streetscape. 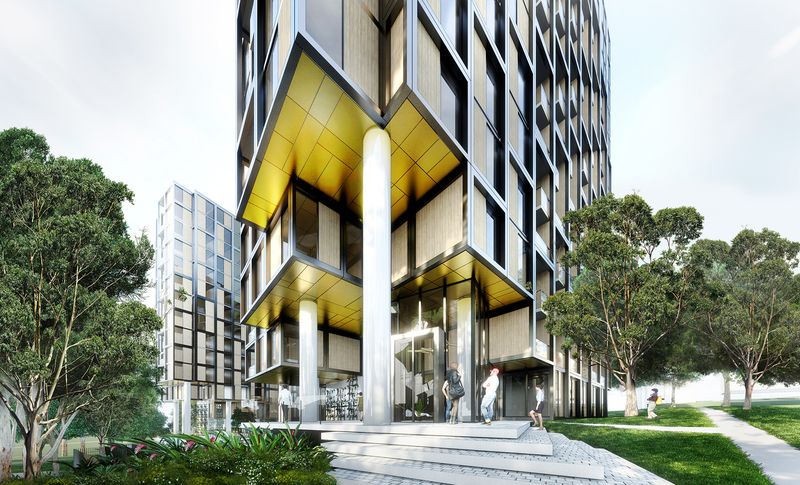 Large glazed openings and clearly defined entrances reinforce the intent of the building as belonging to the public realm. 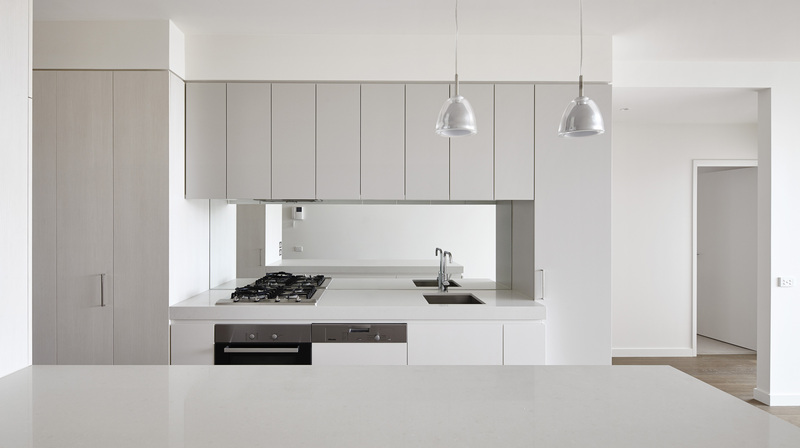 At the upper levels the architectural language is composed of smaller elements and is more domestic in scale. 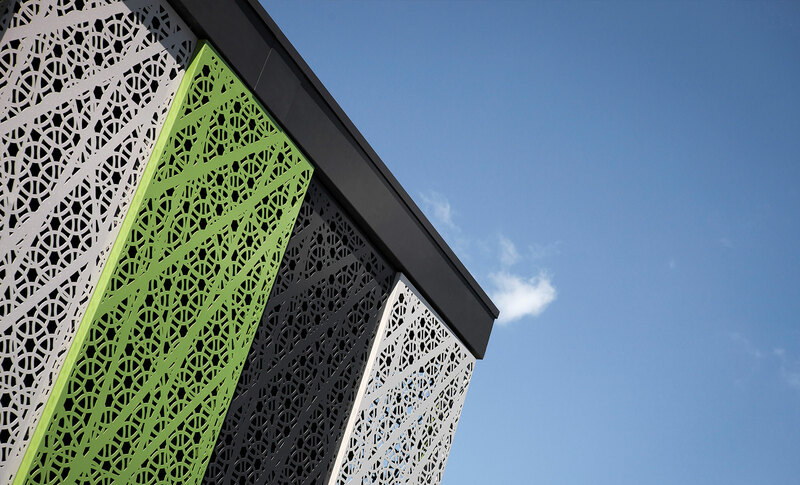 A principal feature of the facades are the delicate perforated metal screens, the collage of colours perhaps a reference to Brighton’s nearby and famous polychromatic beach huts. 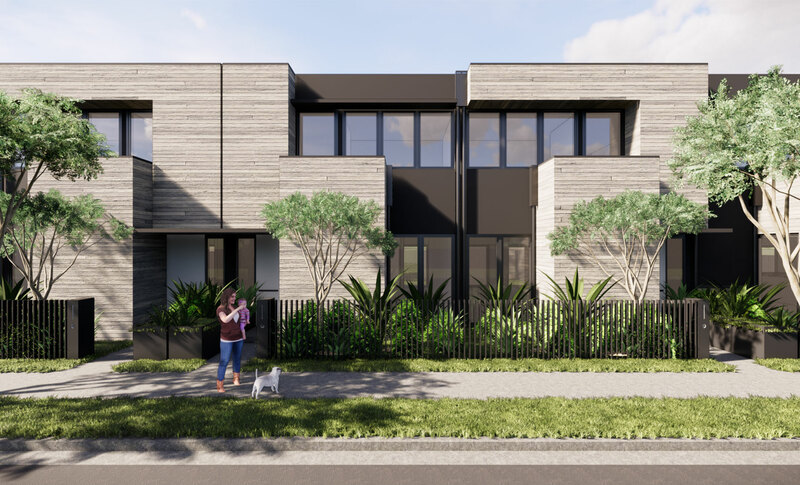 The sliding panels further animate the façade as residents adjust them through the day to moderate the climatic conditions on their terraces. 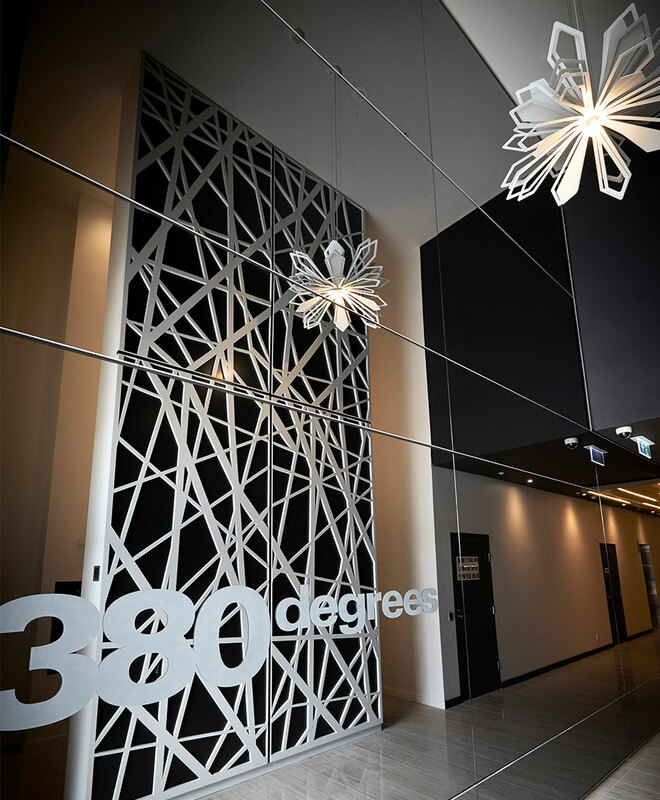 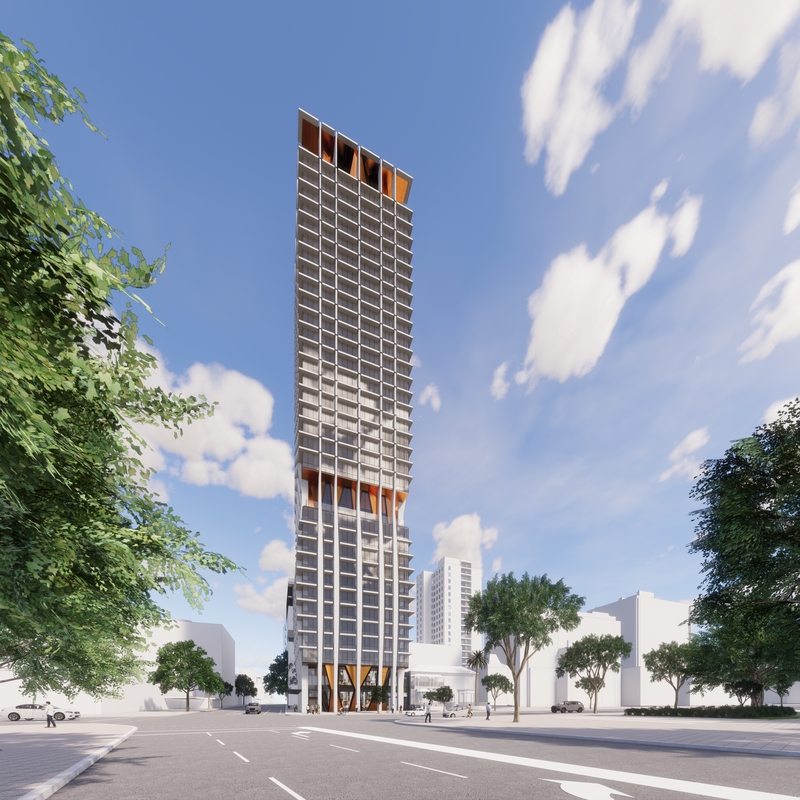 Proof that residences and retail can share a symbiotic relationship, 380 degrees is a significant contribution to Melbourne’s evolving urban landscape. 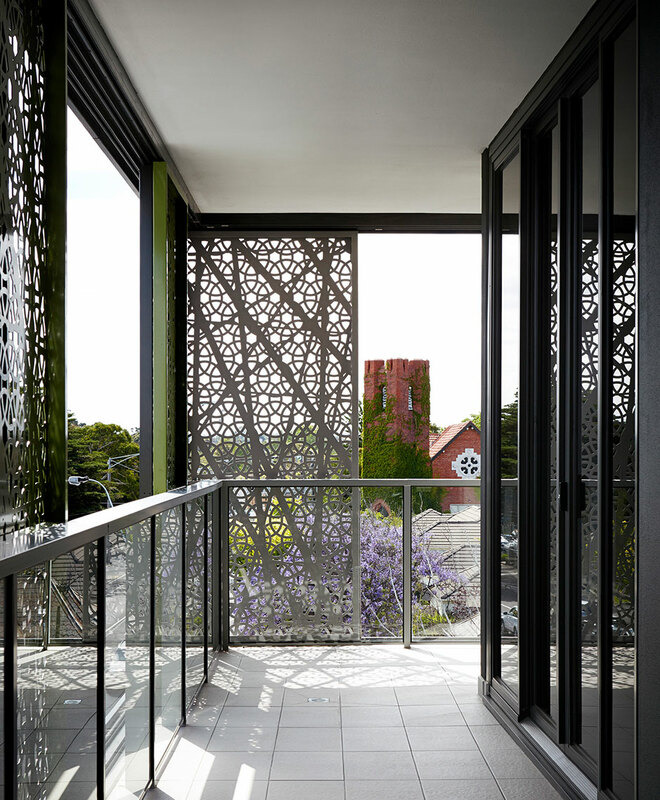 Decorative external screens are laser-cut in a tree-like design with olive, dark-grey and lime-green shading to match trees in the surrounding streetscape.